Struggling to get out of the sand? Are pot bunkers your idea of hell? Here, European Tour pro and Galvin Green ambassador Daniel Im offers five simple rules on how to pull off escapes that Houdini himself would be proud of. Pot bunkers typically have three main characteristics: they’re small, deep and have steep faces. So, if you’re going to get it out, you want to get the ball going up on a steep trajectory as quickly as possible. To give yourself the best chance of doing that, you need to get your centre of gravity as low as you possibly can. The best way to do this is to take a wider stance to give yourself the best chance of getting as low to the ground as possible without losing balance. The worst mistake amateurs make in any bunker, but particularly pot bunkers, is not opening the face enough. I see a lot of guys grip the club and then try to open the face. That’s totally the wrong way round. Open the club up first and then take your grip. If you attack the ball with the leading edge, you’ve got no chance. Instead, you want to open it up as much as you can to take advantage of the bounce. The bounce is the most important part of your club when it comes to shots out of pot bunkers. 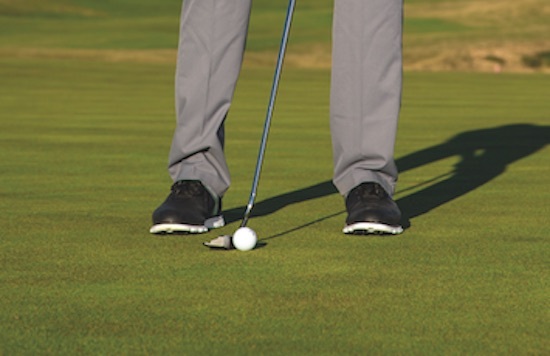 You want to take a three-quarter swing (or whatever you are able to take with the space you have) and try to ‘thump’ the ground around quarter of an inch or so behind the ball. 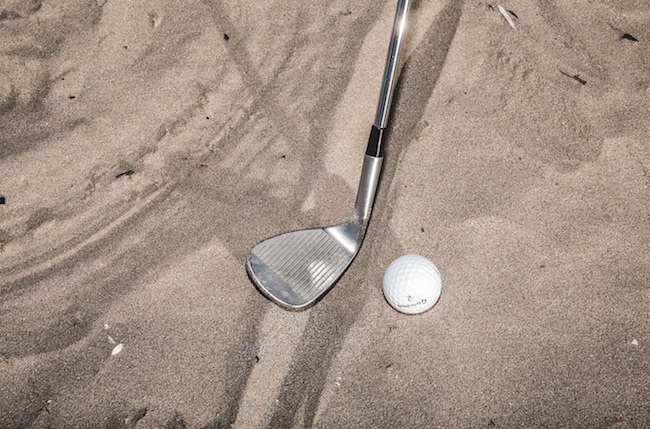 By using the bounce, your club isn’t going to dig into the sand. It’s going to hit it and, quite literally, bounce off it. That will throw the ball up at a nice, steep angle. 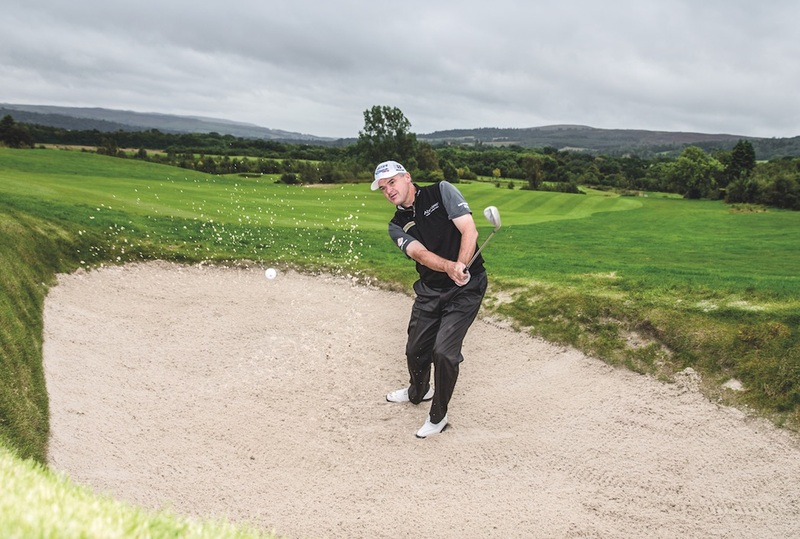 The first rule of bunker play is getting the ball back in play – and that goes double in pot bunkers. That’s all you should be concerned with: getting it out. Focus on that rather than taking aim at the flag or something like that. You’ve got to take your medicine and be smart enough to say, ‘Okay, let’s get this back in play’. You don’t want to compound your mistake by getting greedy. Leaving it in there, particularly if you’ve got a good lie and you’re not up against the face, is unforgivable. 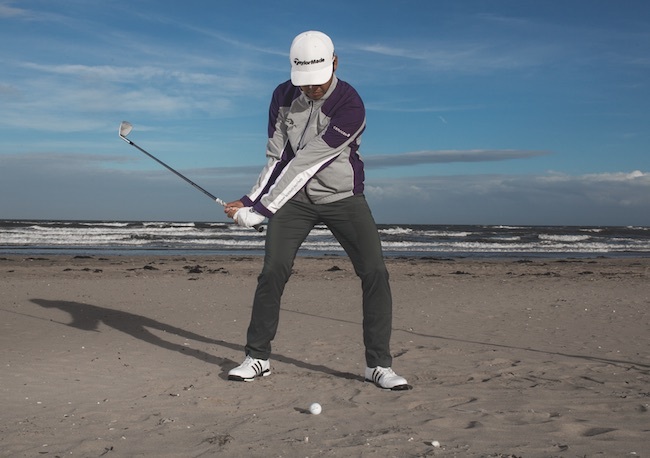 If the sand is wet, and in winter it often is, it’s going to throw the ball further than it would if it was dry. Compacted sand is heavy sand, and heavy sand packs more weight which propels the ball more through the air, so you don’t want to hit it as hard. That doesn’t mean that you decelerate through the ball. You’ve still got to hit it. Just don’t hit it as hard as you otherwise might. 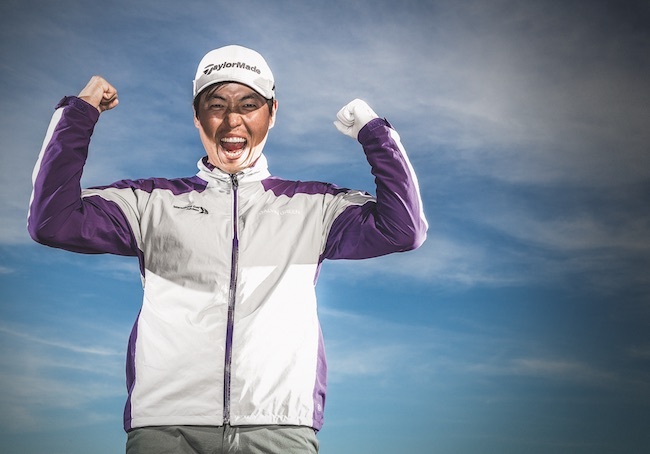 Daniel Im is an American pro playing on the European Tour. Follow him on Twitter @danielimpro. Originally published on bunkered on February 21, 2017.